The $234.2 million decision, handed in after about three and a half hours of deliberation, is less than the $400 million WARF had been seeking in its suit against Apple, reports Reuters. Apple on Tuesday was found to have infringed upon patented computer microarchitecture with its A7, A8 and A8X system-on-chip designs used in iPhones and iPad. Specifically, the lawsuit leveraged claims from a single WARF patent against Apple's highly successful iPhone 5s, iPhone 6, iPhone 6 Plus, iPad Air 2 and iPad mini products. Court documents suggested Apple could potentially pay out as much as $862 million for using "predictor circuit" technology outlined in the 1998 patent. WARF first filed suit against Apple in early 2014, saying the company willfully infringed on its patent as evidenced by citations to the property in Apple's own patent filings. Further, the lawsuit claims Apple refused requests to legally license the IP. WARF previously used the patent in question, No. 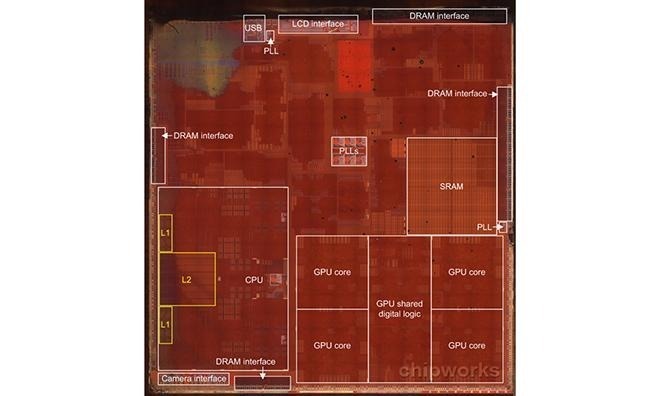 5,781,752, to force Intel into a settlement in 2008, claiming the chip maker's Core 2 Duo CPU infringed on claims identical to those asserted against Apple. The Wisconsin University branch also filed a separate lawsuit last month asserting the same patent against Apple's latest A9 and A9X chips incorporated in the iPhone 6s, iPhone 6s Plus and upcoming iPad Pro.